Looking for a cute printable quote to give to someone you love? 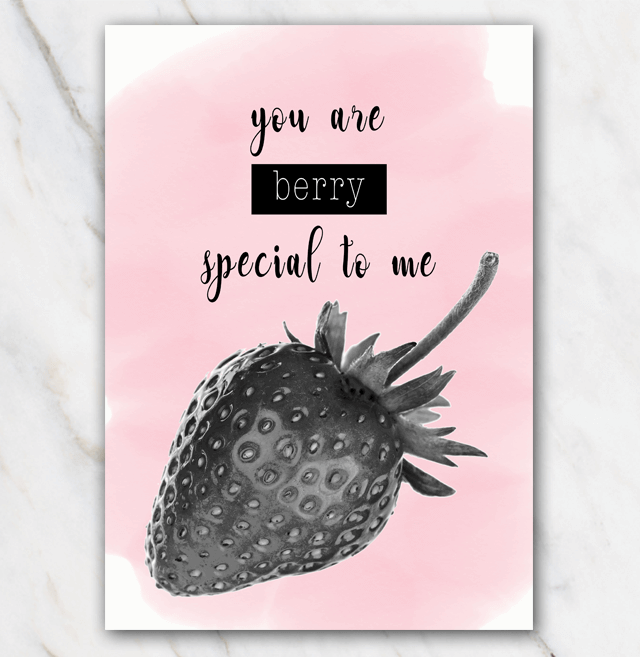 'You are berry special to me' is such a lovely quote! You can download the quote for free. Print at home and give it to someone you love, a good friend, a dear colleague, your mom, dad, brother, sister. Who ever you think deserves a quote like this. Looking for other printable quotes? Don't forget to check out this page.